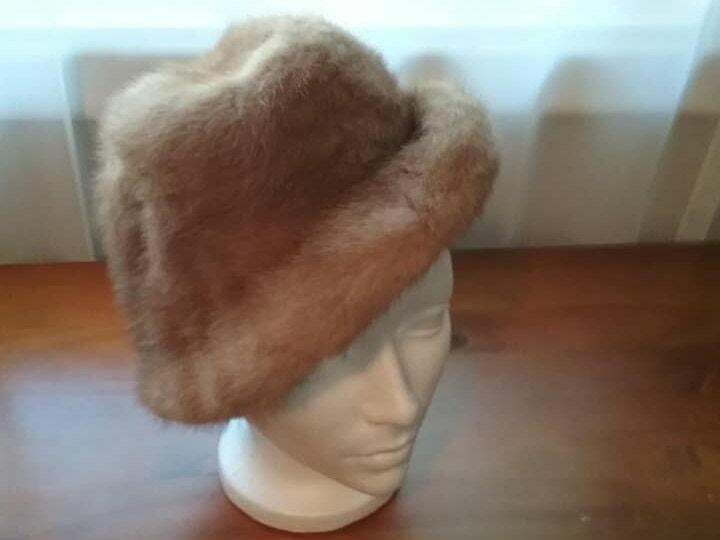 Vintage light brown, mink hat. 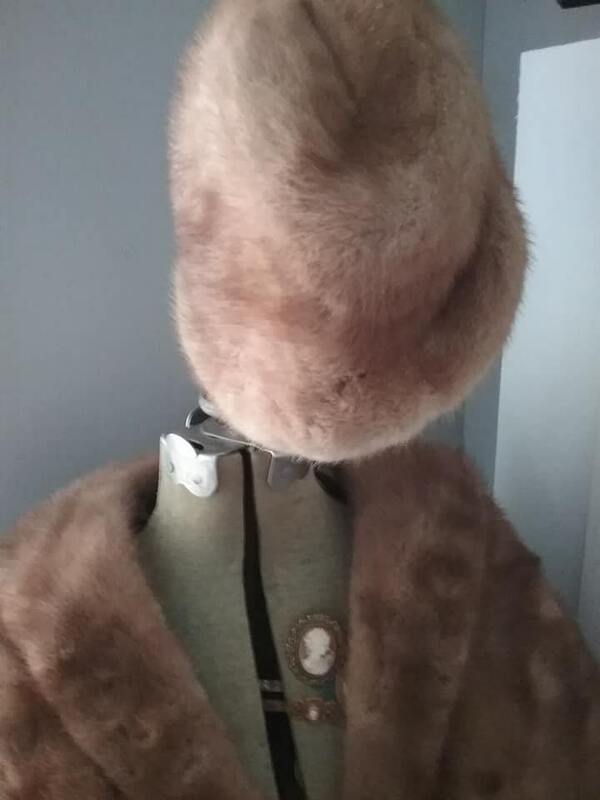 A lovely match to the mink stole that is also listed in this shop. 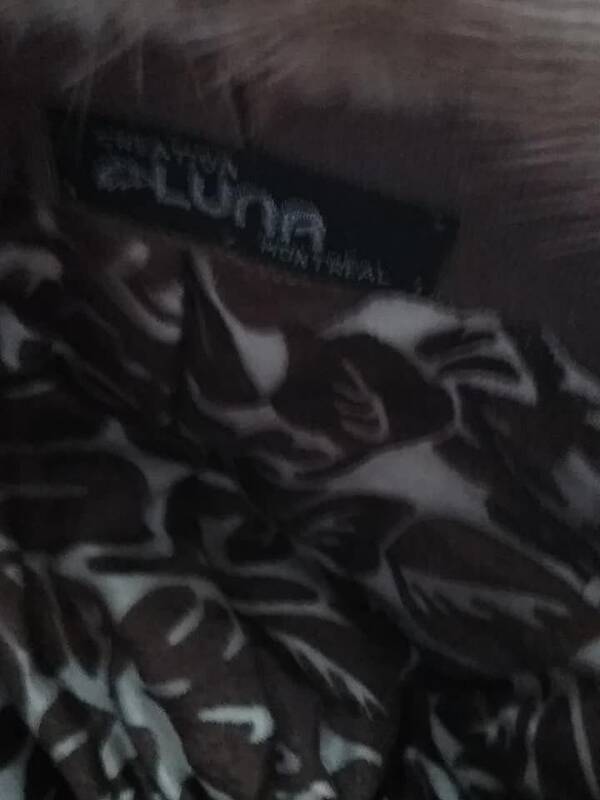 The inner lining has tag, LUNA Montreal. 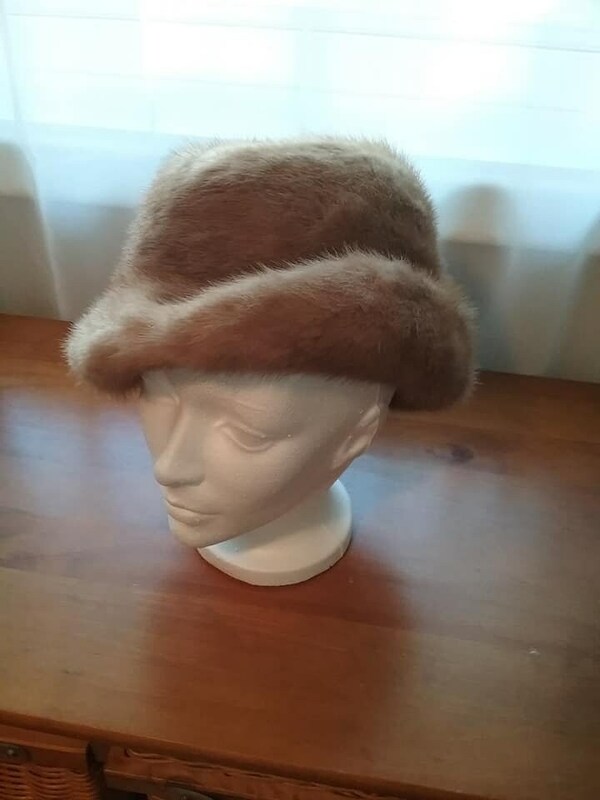 Lovely hat made in Canada, has a beautiful velvet and sheer lining. 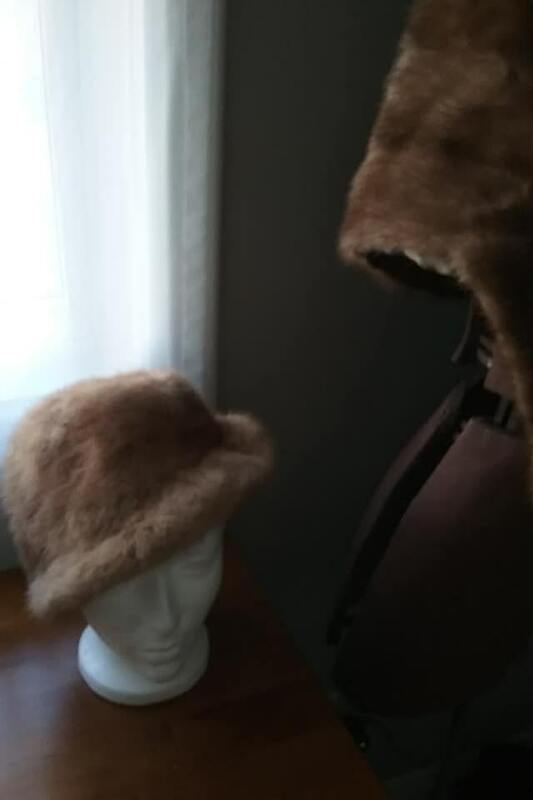 The hat and lining are in excellent vintage condition. 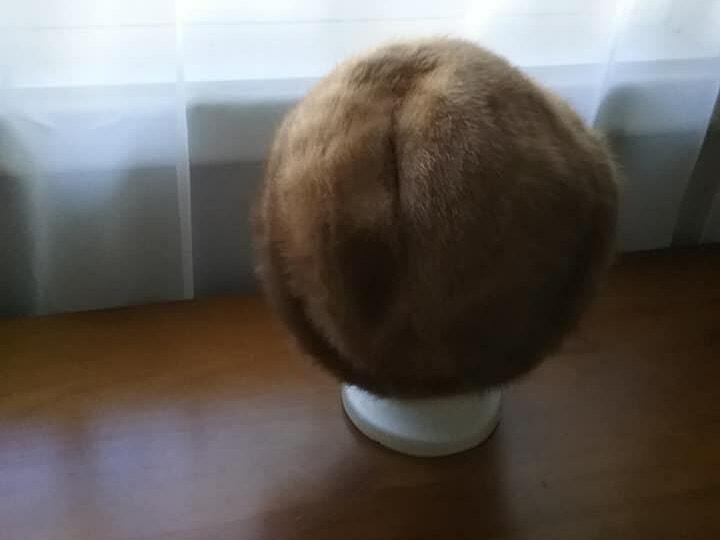 It is shaped with one side being rolled to a brim, so that it appears to have that side tilt look. 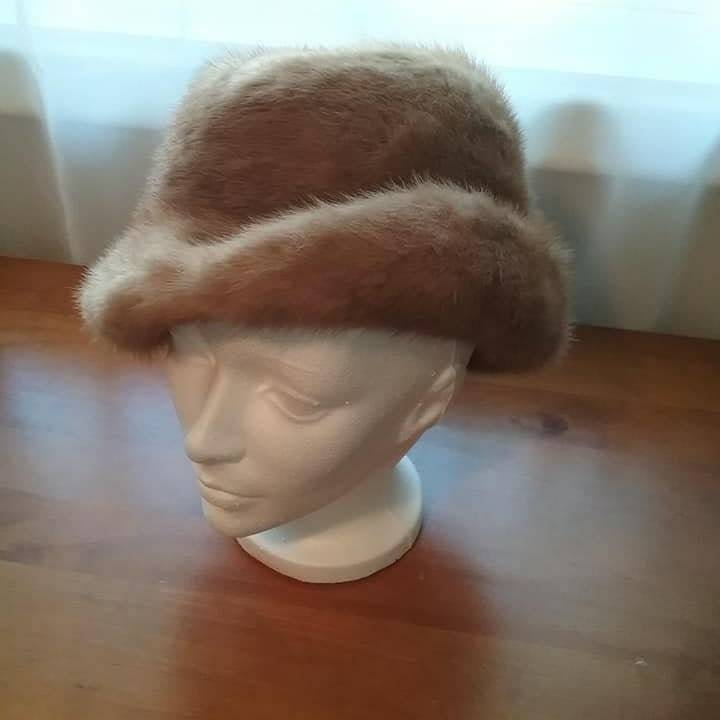 8.5" diameter.....warm and regal...it is made for you!